The trees in your yard are a valuable asset and vital part of the community planning so that their beauty will set the desired atmosphere for years to come. With proper care these trees will grow and thrive providing shade, cooling and year-round beauty. · Keep your tree’s root flare free of soil cover. The trees in front of your home between the street and sidewalk should not have stone edging installed with soil added on top of the root ball. This practice is very detrimental to tree health and in many cases, causes the tree to lose vigor. It can also cause death due to bark deterioration. Edging around trees can contribute to water holding around the tree preventing needed root/air exchange that is essential for healthy root growth. It also makes it more difficult to provide needed nutrients to roots. Just remember, tree feeder roots are shallow and they do not like to be covered. · The mulch rings around trees can also be eliminated after the first 2 years. The rings are there for establishment but once trees are established, rake the mulch rings level and let the grass grow up to the trunk. If you want to maintain mulch, keep it pulled back from the root flare and do not have more than 2 inches of mulch at anytime. · Fertilize your trees now by applying 1/2 pound fertilizer per inch trunk diameter spread evenly from outside root ball to 2 feet past canopy drip line. Most of your trees are 3 to 4 inch in diameter. · Trees can grow quickly in the spring so check the staking materials on your trees monthly. Do not let the materials cut into the bark, damaging trees. If your tree has been in for one year, shake the trunk and if the root ball does not move, it is time to remove all staking materials. If the root ball is still moving, leave on staking materials but make sure to loosen all ties as needed to prevent damage to branches and tree trunk. Do not allow ties to grow into trees!!! What a fun college basketball season! Something you can’t make up…Virginia ended up taking home the title and so did resident, Meredith Wheeler, for winning the 2019 Pomona NCAA Bracket!!! Also, a special shout out to all our teens and players on their hard work in putting together the 2nd Annual 3x3 Pomona Basketball Tournament. In the end, the Reign Gang took home the gold but there was so much heart shown on the court that everyone was a winner that day!!! 1. Spring Fertilization- Fertilize your turf and shrub beds now with a fertilizer such as Scott’s Turf Builder for Southern Lawns slow release fertilizer with an analysis of 32-0-10. Use a spreader with edge guard to keep fertilizer off hard surfaces. Scott’s spreaders are good to use with Scott’s fertilizers. Any fertilizer you purchase should be more expensive indicating that the nitrogen is slow release. 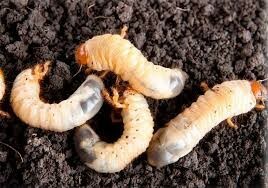 The quick release fertilizers are polluting and not as safe for the environment. 2. Pruning of Ground Cover and Ornamental Grass - Prune back overgrown ground cover and ornamental grasses to encourage new, compact growth. 3. Fire Ant Control- Treat your whole landscape (turf and beds) with fire ant control such as Over n Out, Advion, Amdro, Spectracide or Bayer Fire Ant Control at the end of March or in April for 6 month long fire ant control. Apply per label instructions. Continue to monitor your yard for moisture and use your irrigation system only as needed. It has been so wet, the “off” position is best until it stops raining! Don’t forget I will be doing a talk at Fish Camp on March 23rd at 10am. See you all there! For those of you who are new to the community, we have participated in the Polar Bear Plunge for 3 years now! With the recent weather change this will be fun to watch. Stay tuned for this year’s plunge which will be at Camp Pomona on February 21st at 4:30 pm at Camp Pomona. All proceeds go directly towards the Pomona Elementary PTO!!! February is the traditional month for love. We rush around all month picking out flowers and chocolate and making reservations at our favorite restaurants to impress the ones we love. And that is great! But, February is also the best month to show love to your yard by getting it ready for spring. When thinking about where to take your loved ones to eat, remember you can also feed your trees, shrubs, ground covers, ornamental grasses and perennials. If you fertilize your plants with Scott’s Turf Builder for Southern Lawns slow release fertilizer with an analysis of 32-0-10, plants will respond to their good meal just like your loved ones. Fertilize your trees by applying 2 pounds of fertilizer around each tree from tree trunk out to drip line. It is always good to water after fertilizing but fertilizing before a rain will also work. Before going out with our loved ones, we dress up! This can be a reminder to you to dress up your beds. Pull out all weeds in beds and tree rings and add a double ground, dyed-brown, hardwood much. Maintaining 2 inches of mulch will provide great growing conditions for your plants, reduce water use and make it easier to remove those pesky weeds. Remember, no red mulch in beds. Brown will provide a more natural appearance. You want your beds to look their best. When thinking what is the best gift to buy your loved ones, I have a suggestion for a gift for your yard. Between February 15 and March 15, apply a pre-emergent weed control to your planting beds and turf. This pre-emergent will help control all spring and early summer weeds. Apply Preen to planting beds and Halts to your turf. As always when applying any product, follow the label directions closely. You will find that this will also be a gift to you as you avoid pulling all those weeds. Just like with your loved ones, if you take the time to love your yard, it will respond positively to you and you will reap the benefits. The 2018 HOA Annual meeting was held at Pomona elementary with over 100 residents in attendace. In case you were not able to make the meeting, click HERE for the presentation. Should you have any questions, please contact our General Manager, Donna Grice, at donna.grice@fsresidential.com or 281.692.2808. Boo Baskets: You've Been Booed!!! Boo baskets start this Monday, October 1 so keep an eye on your front door!!! Getting "boo-ed" is a fun Halloween tradition where a neighbor will leave a fun basket of goodies on another neighbor's door step. There will be a note on what to do next after you get "boo-ed". Make sure to share all your fun pics on the private Homeowners Facebookpage. See below for the print outs in case you need them. Have fun!!! Below is what to do once you have been booed! 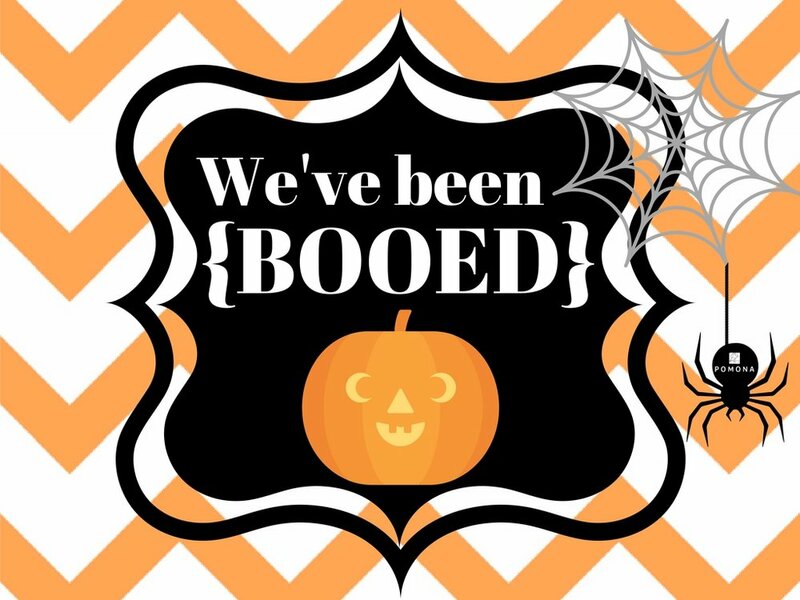 Please make sure to print this sheet AND the We’ve Been Booed sign to place in the basket when you boo someone. Once you’ve been booed, post the sign on your window or door immediately so prevent double booing and to help spread the boo love! The following perennials, annuals and ornamental grasses will add color and interest to your yard and garden this summer. Join me in congratulating our 2018-2019 officer positions for the Pomona Teen Advisory Board!!! Block or Street parties are great opportunities for neighbors to get together, meet each other, and build friendships. Street parties also help increase that sense of belonging to a community—something that we strive for at Pomona. We have put together some tips and things to consider as you plan your street party. 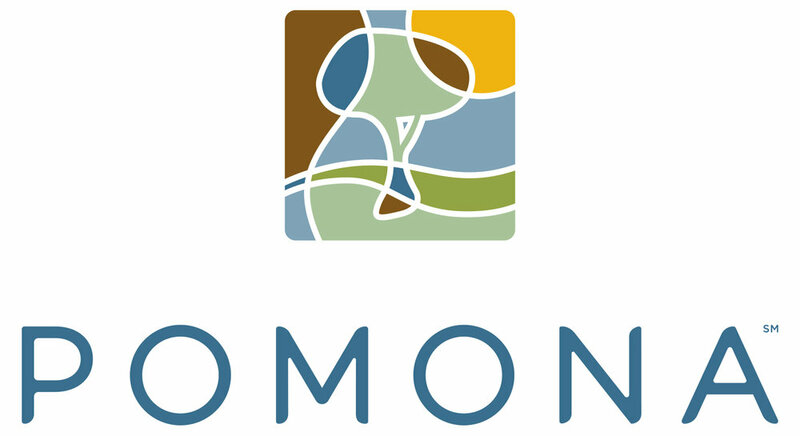 Sign up to be a Street Captain and register your street at pomonarsvp@fsresidential.com. Find one or two neighbors to help you. Having an organizing committee will help with the details and encourage attendance. An organizing committee can also help serve as greeters, introduce new neighbors, and help with set up and clean up. One rule of etiquette you must follow: Invite every household on your street—absolutely no exceptions. Divide the Workload. Generally, a few neighbors supply grills, and others bring tables and chairs. Assign food/drink responsibilities or collect money to bring in catered food. Entertainment. Decide as a street if you want to rent equipment (e.g., bounce house, dunk tank). Some neighborhoods keep it traditional with tugs-of-war, sack races, bike parades, football, water balloon toss, and scavenger hunts. Noise: Entertainment such as band music, DJ, recorded music, and any amplifying equipment must be restricted to a volume that does not disturb residents. Sound perceived as excessive or offensive is prohibited.